$0.18 ea. $0.126 ea. $0.108 ea. $0.090 ea. $0.081 ea. $0.077 ea. $0.072 ea. $0.068 ea. DESCRIPTION – .75 inch Flat Lace, white/yellow. DESCRIPTION – .75 inch Flat Lace, yellow. $0.23 ea. $0.161 ea. $0.138 ea. $0.115 ea. $0.104 ea. $0.098 ea. $0.092 ea. $0.086 ea. DESCRIPTION – 1 inch Flat Lace, yellow. DESCRIPTION – 1.125 inch Flat Lace, yellow. 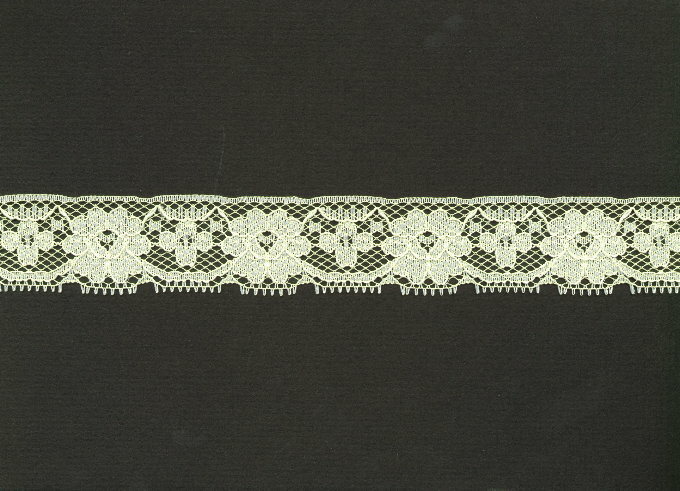 DESCRIPTION – 1.125 inch Flat Lace, yellow/white. $0.45 ea. $0.315 ea. $0.27 ea. $0.225 ea. $0.55 ea. $0.385 ea. $0.330 ea. $0.275 ea. $0.248 ea. $0.234 ea. $0.220 ea. $0.207 ea.